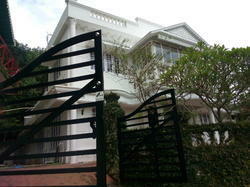 Short Stay in Kottayam - Villa. Shiva's Villa, Gurgaon welcomes you in the heart of commercial activities of NCR (National Capital Region) on the border of Haryana and Delhi. Of late Gurgaon has flourished as the center of Information Technology and other new-age businesses. One of Delhi's four major satellite cities, Gurgaon has of late been settled by several people due to the flourishing industrial scenario. Upstairs, Onyx and Amber are awash with light which streams through generous windows, allowing these rooms to “float in their tropical garden surrounding. Each Villa Room - Onyx offers a particularly spacious bathroom complete with rain shower and two-seater corner tub, satellite TV and a balcony with cascading views of the countryside. Ideal for a soul-soothing retreat. 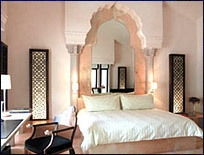 JüSTa in Hyderabad epitomizes the spirit and soul of one of the most historically rich cities in India. Tradition filled and avant-garde jüSTa in Hyderabad is yet another pearl in the city of pearls. If your budget is tight, you can stay in the no frills Ashirwaad Holiday Apartments Complex. This is a nice budget property offering convenience, privacy and space near the famous Colva, Benaulim and Varca Beaches in South Goa. Condo House Vacation Rentals Our vacation rental homes provide plenty of space for hanging out and enjoying time togethe We provide a hassle-free and almost investment free income to property owners and, to property seekers, we offer an array of options, from villas and bungalows on rent to apartments and flats on rent. Are Spacious Lotus Pond facing A/c villas, easily accessible to the beach, with all modern facilities includes Television, Minibar, Hot & Cold water etc. Located strategically across the banks of the VembanadLake, Punnamada resort in Kerala seems like it has been dropped right in the lap of comfortable luxury, and rightly so. Draped in a curtain of velvety green trees, including tropical plants and seasonal flowers, the resort looks like it has been touched by a magic wand.